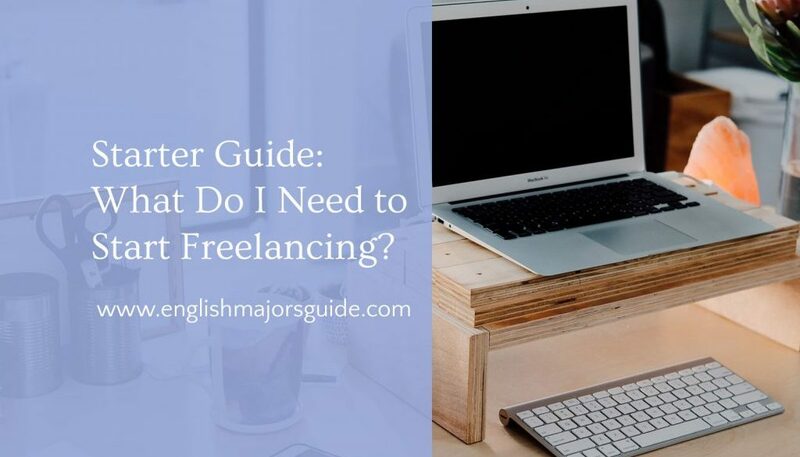 Starter Guide: What do I need to start freelancing? 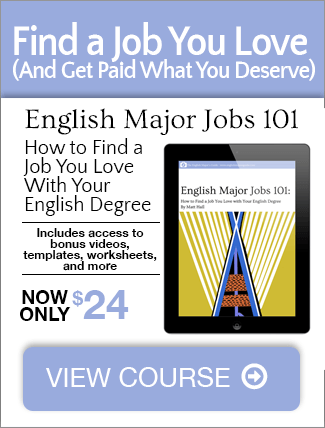 English majors like you have a great career advantage: we can live the freelance writer dream and work anywhere. But what do you need to get started? Do you need a $500/month for advertising? Or a top-of-the-line MacBook Pro? Or a few years of job experience in an agency? Turns out you don’t need any of the above. When I started freelancing, I didn’t have a nice computer. I had a cheap $200 netbook (a device that makes modern Chromebooks seem high-powered in comparison). I used Word for all of my assignments until I discovered Google Docs. (Docs is ideal for client revisions, and it’s free!) Sometimes, I’d borrow internet from the library or public spaces to work. It was great. Soon, I was making $1,000 to $2,000 per month as a full-time student. Earning $20-$36 per hour writing felt more satisfying than working fast food at minimum wage. Now, there are even better free tools. So what do you need to start freelance writing? A computer. It doesn’t need to be great. It just needs internet access and a modern web browser. A phone number. You can get one for free from Google if you don’t have a cell. Most importantly: A willingness to try! If you’re the kind of person who finds reasons things won’t work without trying them, you won’t get far as a freelancer. Even a relatively low-paid freelance writer can make $20 per hour. Not only is that more than double than most college jobs it’s also something that will jump start your career. You’ll basically be a small business owner, giving your more empathy for your clients. And you’ll develop a grit and determination that’s key to succeeding in our fast-changing economy. And if you can manage even part-time at $20 per hour, that’s roughly $1800 per month. Even if that doesn’t completely remove the need for student loans, it makes a heck of a dent. But you need to do the work to get the benefits. And if you aren’t willing to push past excuses into action, you’re not going to find anyone to hire you to do the work. Photo by Christine Donaldson on Unsplash.